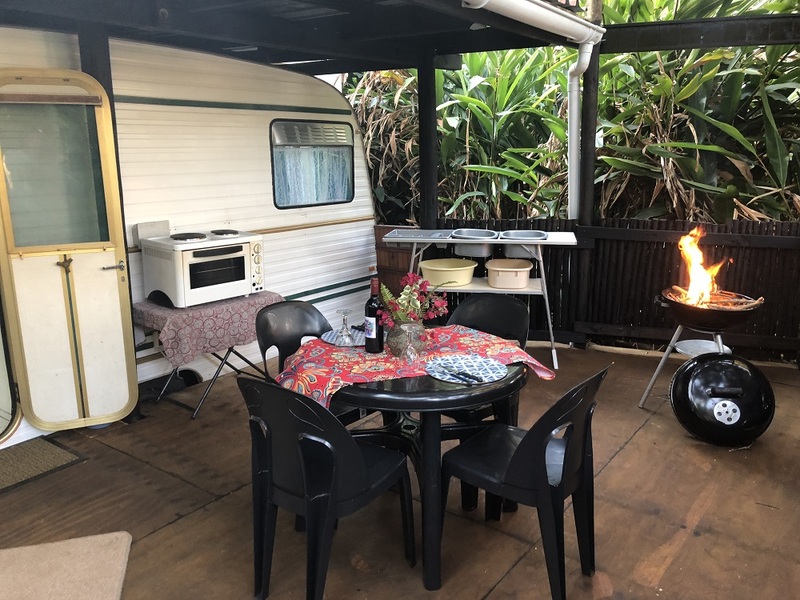 Fairhills caravan park has a variety of different size and type of stands available. 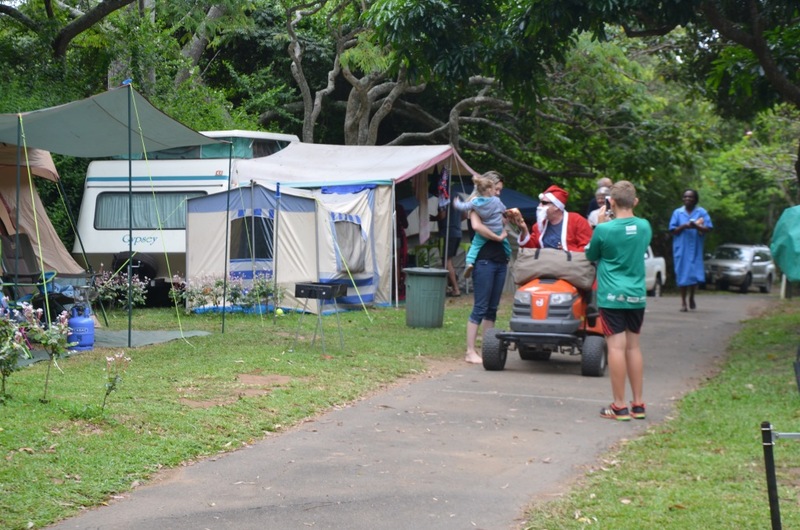 We are able to cater for large caravans to smaller camping sites if necessary all with taps close at hand. 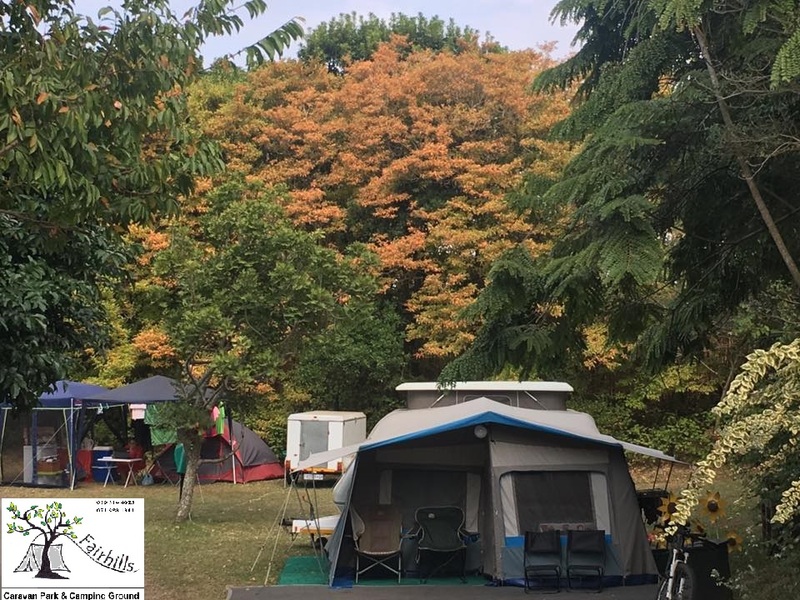 These sites may be used for both large and medium sized caravans or large tented camping. 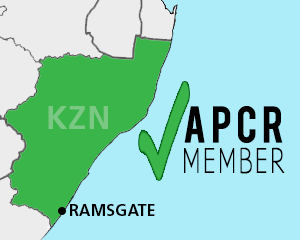 Each site is equipped with an electrical power point and a demarcated braai area. Please inform reception of your requirements before booking. 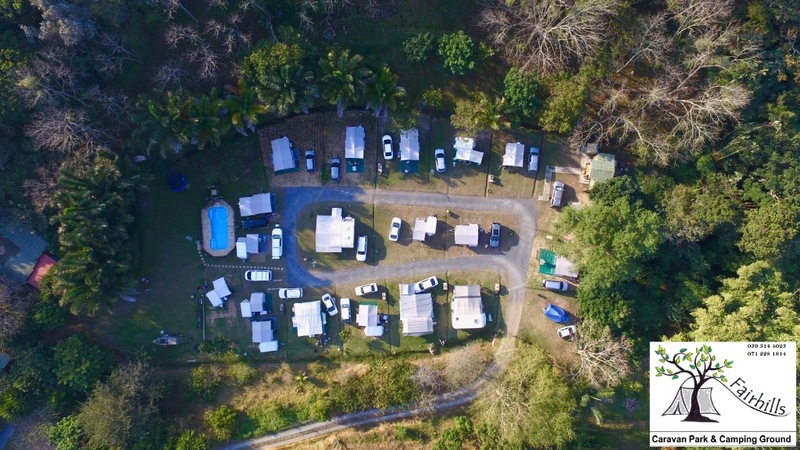 Sunny and shady sites available, please enquire for more info Please visit our rates page for peak and low season rates and specials. Our campsites are slightly smaller than some of our bigger caravan stands. Most, if not all of them can accommodate a 4-6 sleeper tent easily. Shady and sunny sites available, please enquire for more info. Please visit our rates page for peak and low season rates and specials. 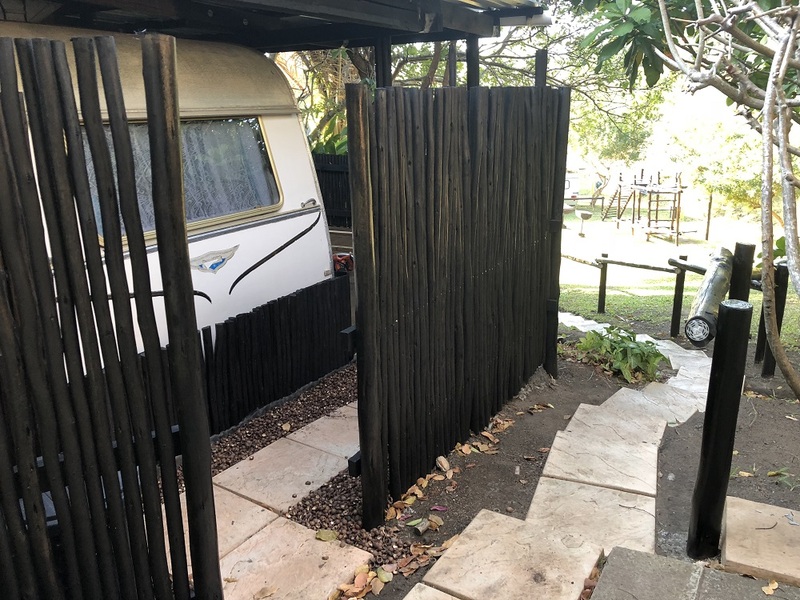 Onsite, there are 3 different ablution facility blocks supplied by our borehole when required available for our caravan and camping patrons. 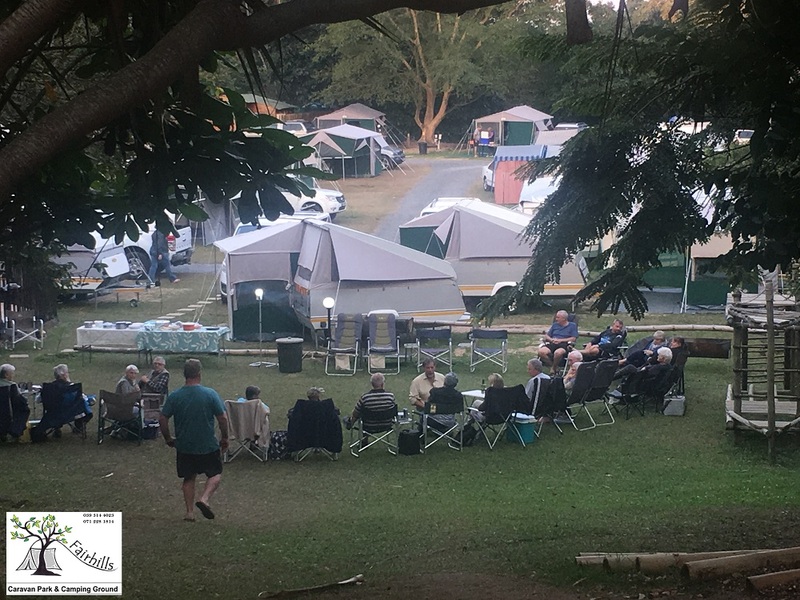 One is the large main ablution facility block located on the upper terrace while the remaining two small convenience ablution blocks are strategically situated close to the lower and middle terrace areas for those night time emergencies. Each ablution has a scullery as well as a hand laundry washing facility. There is also a coin operated washing machine in the middle ablution laundry building which has a convenient “honesty library” at hand with a selection of books and magazines to browse through on laundry day. 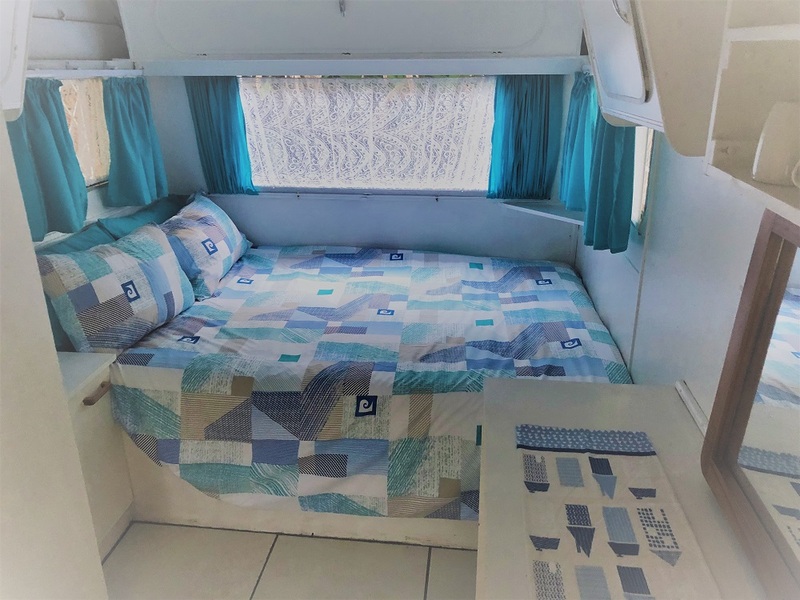 This beautify restored caravan is ideal for those who enjoy the caravan experience – without all the hum drum hassles of actually towing and setting up a caravan site. 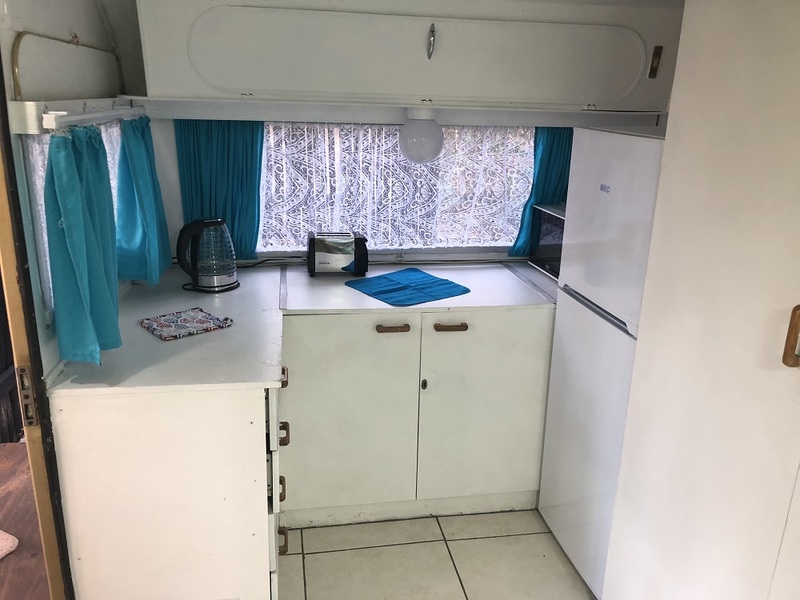 This caravan has amenities such as: a double bed, Fridge/Freezer, Electric Stove, microwave, kettle, toaster, wash up basin, storage cupboards, crockery and cutlery. Everything you need for the complete “caravan-ing” experience. Without the sweat and tears. 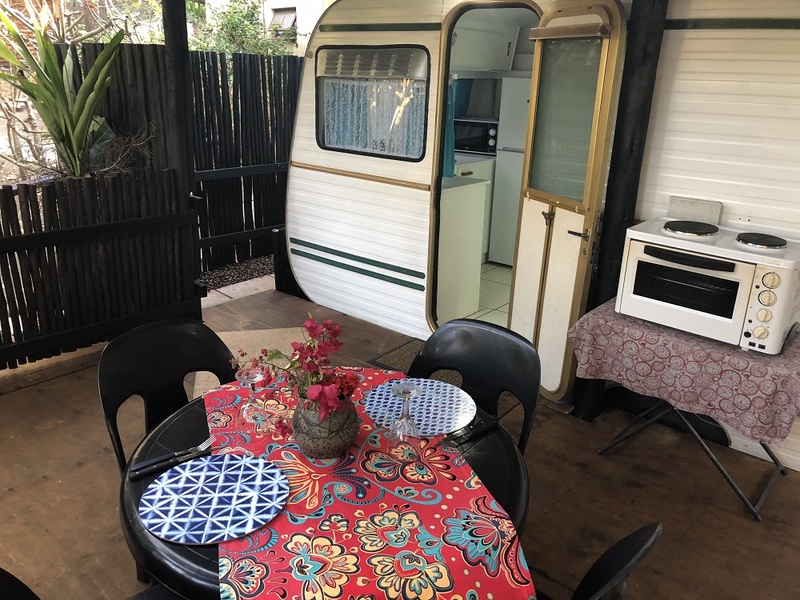 This caravan comes standard with a private patio area which boasts a Weber braai on deck and camping table & chairs. See pictures for more info. NB: Please bring your own bedding, sheets and towels. Linen is not provided. Please use communal camping/caravan ablutions nearby. This delightful and well maintained guest house can sleep up to 8 people comfortably. 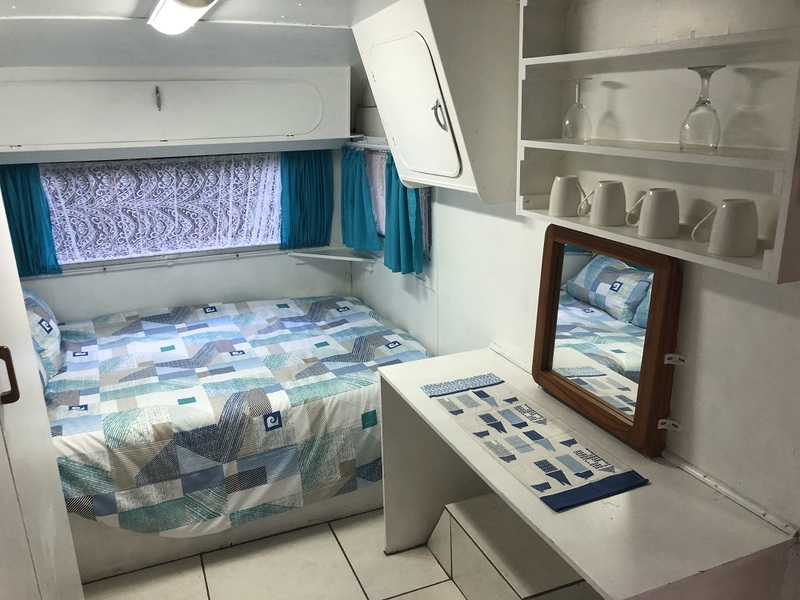 There is a fold out sleeper couch situated in the lounge if you wish to sleep 9 guests. The guest house boasts 2 and a half bathrooms. One full en-suite bathroom ( bath, shower and toilet), one adjacent bathroom (bath, shower and toilet) and a separate guest toilet. The guest house comes standard with all amenities such as a gas stove, microwave, kettle, double door fridge freezer, crockery and cutlery. The well equipped kitchen is large with an adjoining scullery equipped with a washing machine. The open plan Dining room/Lounge/TV Room is spacious and comes complete with DSTV, dining room table (seats 8), lounge suite and work desk. There is an outside patio area with dartboard next to the braai and firepit. There is a large swimming pool that can be accessed directly from the back entrance of the house. Secure parking in a shaded carport is available. If you have any questions, please feel free to get in touch with us directly. Visit our facilities page for more info about our resort.